We had a great stay with hosts Tim and Mary. They were very helpful with suggestions and directions. Met interesting fellow travellers at breakfast. Parking is on the street, but we didn't have any problem parking close by. Stayed in the Willows in August, Tim and Mary were very helpful. I would highly recommend the willows b&b to anyone. Will definitely be back. A great little B&B in the lovely town of Tralee. Run by a lovely couple who went out of their way to make sure my stay was perfect in every way. The accommodation is clean and comfortable and the breakfast was delicious. Thoroughly recommended. Very comfortable B&B, we like it! Such a cute B&B with the best hospitality. The owners were great and gave us lots of local recommendations. They also reviewed our travel itinerary and gave us suggestions to cut driving time. We had 3 rooms - they were on the smaller side but the house is very old. Breakfast was very good and served promptly. I would definitely come back! Simply delightful! Friendly proprietors, quaint B&B. They accommodated our family group needing 3 rooms very nicely. The room at the top of the stairs with the roof window over the bed was perfect for our 10-year-old. Tim and Mary were perfect hosts, and breakfast was delicious. Wonderful welcome and Tim and Mary couldn't be more helpful and kind. Excellent location, quiet but close to everything Tralee has to offer including the train and bus station. Lovely room and great choice of breakfasts. Perfect! I stayed here while attending the Roger Casement centenary at Banna Strand. Willows is a fine B&B in central Tralee and includes free Wi-Fi, it's very clean, and a great selection of breakfast too. The couple who run it will look after you and are very helpful. I would definitely stay here again and the location is very good for wandering around Tralee. The Willows B&B is in an excellent location, short walk to down town area, yet on a quiet residential street. Street parking is available. The room was good size and very clean. Tim was a great host, provided a lot of information and suggestions, as far as places to go and see and good restaurants. The breakfast in the morning was prepared as requested and quite good. This is the second time I have stayed at this B&B on a visit to Tralee, and will be back in future visits. A very, clean, quiet and handy location in Tralee ...within walking distance to everything. To be fair to The Willows, the owners were out of town the weekend we booked online, so it took longer than usual to get back to us via email ...hence the three stars for communication. Recommended. We loved our stay at The Willows. Tim and Mary could not have been more friendly and accommodating. Mary gets the problem solver prize as she figured out how to retrieve items inadvertently left on the bus. I loved the closed proximity to Tralee's majestic park, and all of its downtown facilities and cannot more highly recommend this place. Very warm welcome and helpful in all needs. Room was small but very nice living room and perfect Irish breakfast. B&B is quite close to city center, but far away to have silent night. We really enjoyed it and would always come again. Tim and Mary are gracious warm hosts and made our stay feel special. Nice facility in a good location - walking distance to both the bus and train station, downtown, the very large rose park and theater. Owners very helpful in getting us tickets to the folk theater and insisting to drive us to the bus even though it only about a 10-15 minute walk. We really enjoyed the hospitality at Willows B&B, location, room, and breakfast. I would highly recommend staying here. Great service ..... very friendly & helpful. Very clean and tidy, extremely friendly. Easy access to town centre and train & bus station Would defiantly stay there again Great hosts!!! Nice, clean B and B with hosts that proved they will go above and beyond to help their guests. A little tough to locate using GPS so get directions ahead of time. Breakfast was great and Tim and Mary shine as warm, friendly, caring hosts. Tim and Mary were excellent hosts. The room was clean and comfortable with everything we needed in a very compact space. A great place to stay in Tralee, a short walk from the centre of town. It was just by luck that I stumbled upon the Willows. I am so glad I did. The service which Mary and Tim offer is second to none. From the moment we arrived we felt at home. It is so obvious that Mary and Tim enjoy what they do.,It is Irish Hospitality at its best. I have rated everything at a 5 because It deserves it. It is a cosy house and well the food was just amazing. I had to try the pancakes. It was a real treat. All that is left for me to say is a big thank you to Mary and Tim for such wonderful Irish Hospitality. I highly recommend the Wilow b and b. The landmark for where the house is situated is the library. Just a short walk up, Jan and Stephen. This was our second stay at Willow B&B. Our earlier stay was 17 years ago. It was a coincidence that we booked the Willows for 2014 without realizing that we had stayed there 17 year earlier, but it was a very happy coincidence. It was very comfortable and we received a very hospitable welcome. Hopefully it won't be another 17 years before we can book into the Willows once more. 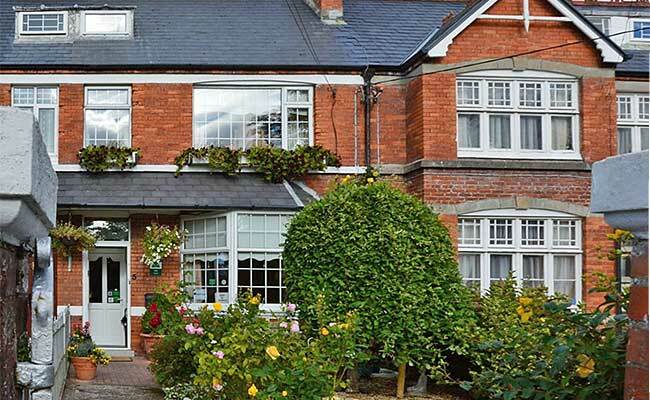 Our favorite bnb in Ireland. Such wonderful hospitality! the room was very clean and comfy and just a short walk into town. very welcoming and friendly hosts who went out of their way to make our stay in Tralee memorable. Clean and comfortable rooms. We spent three very nice days in Tralee : near the center of the town, it's a quiet B&B. Very good breakfast and good welcome. Mary and Tim were such warm and engaging hosts--just wonderful! The room was lovely and accommodating for me and my two teen daughters. I had to take a picture of my first traditional Irish breakfast because it was so nicely prepared and appetizing. Mary helped me with my travel plans, and gave us suggestions about how to spend our time in the area around Tralee. We would LOVE to return some day...thank you! All we expected and more, a very warm welcome and very helpful to our planning of what to see and routes. The people at Willows B&B are very friendly and helpful in all interests. Lovely stay, very nice and helpful host and hostess. Will absolutely stay there again if I return to Tralee! It was a pleasure to stay here. Ideally located, everything within walking distance. Great breakfast, too! The owners are very kind and happy to help with any questions you might have. Next time I'm staying in Tralee, I will try to get a room here again.